BT Sport has overtaken Welsh programme maker Tinopolis as the channel for the World Rally Championship in a multi-million-pound deal. Tinopolis has covered the series over 15 seasons and used it as a platform to cover other motor sport events in Wales and the UK but the free-to-air programme maker couldn’t compete with the breadth of coverage proposed and paid for by BT Sport. Under the Ralio banner, the programme is fronted by presenter and motor sport fan Emyr Penlan and it travelled the world reporting on events and particularly the fortunes of Welsh competitors to feed back to the UK rallying audiences. Ralio will however be producing eight programmes around the British round of the WRC, Wales Rally GB in October, and it hopes to return to the premiere rally championship in future, and is also looking at other opportunities. 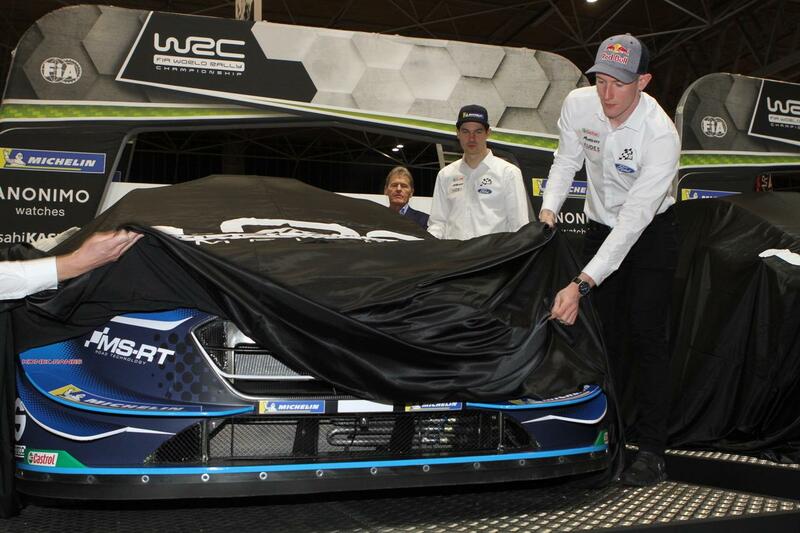 BT Sport has covered the series already but rights owners WRC Promoter has now extended its partnership. The Pay TV network has agreed a multi-year deal and will significantly step up its live coverage from all 14 rounds for a £100 annual subscription to rallyfans. BT Sport will screen all WRC TV’s programmes across its various platforms, featuring live action, a pre-event magazine show, nightly highlights and post-rally review. All will be repeated and it will also include archive shows in its programming plans. This week’s Monte Carlo Rally 24-27 January marks the start of a pivotal World Championship campaign for Welsh rally driver Elfyn Evans. After famously scoring his maiden victory on home soil at the end of 2017, the 30-year-old from Dolgellau by his own admission endured a frustrating follow-up season with a combination of accidents, punctures, mechanical maladies and team orders restricting him to just a pair of podium results and a disappointing seventh position in the final 2018 drivers’ standings. Despite those setbacks, the Welshman now finds himself promoted to team leader at the M-Sport Ford World Rally Team following the departure of reigning champion Sébastien Ogier and Red Bull sponsorship to rival team Citroën. As Ogier proved in capturing back-to-back World Championship titles, the M-Sport prepared Fiesta RS WRC is a proven winner, so the pressure is very much on Evans to deliver in his new-look, nitrous blue liveried Ford. “There’s always pressure but this is a great opportunity and I’m really excited to get going and to get back on track,” he asserted.